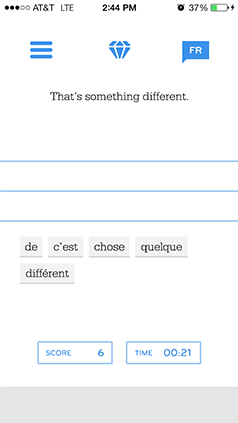 Phraseaholic® 3.0 makes expanding your vocabulary in French, Spanish and Russian easy, fun & free. 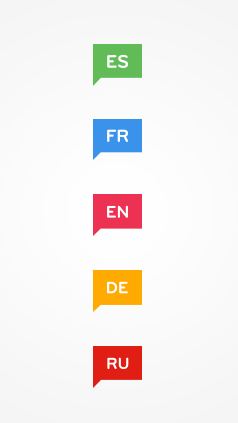 Choose your language by tapping the language icon. 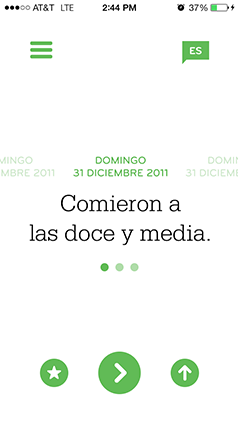 Learn French, Spanish & Russian in the same app and save your favorites. All translations, phonetics and audio are approved by native speakers. Find useful phrases in categories like travel, health & shopping. Can't get enough? 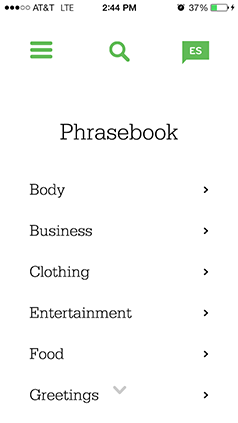 Unlock the complete Phrasebook for just $1.99 to access dozens of categories and hundreds of phrases. Put your learnings to practice with the Jumble game. Challenge your friends and compete for high scores with Game Center. Stay tuned for more games, more push notification features & more languages.